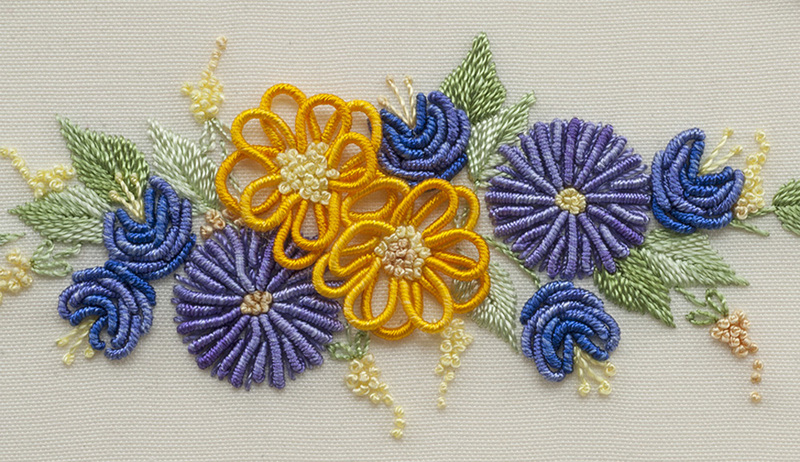 Brazilian embroidery is one of my favorite kinds of needlework, and I love stitching bullions—this piece has plenty. I love the combination of colors as well. Normally this piece is hung vertically, but my framer suggested hanging it on point, and I love how it turned out.